Are you trying to get pregnant? If so, you are going to want to learn all about fertility cleansing. Why, you may be wondering? Well, fertility cleansing is one of the best ways to prepare your body for healthy conception. Every day we are bombarded by environmental toxins and over time this adds up. Did you know that during pregnancy, these toxins can be passed on to your baby? They can. Now is the best time to get your body in tip-top health in order to help give your baby the healthiest start in life possible. The following fertility cleansing resources cover what every couple should know prior to conceiving a child. Cleansing has always been used as a natural way to keep the body healthy and may be one of the most beneficial things to do before you get pregnant. The time while you are preparing for conception is one of the most important times to create a healthy body in preparation for pregnancy. It is also the best time to do a fertility cleanse. Learn all about fertility cleansing. Toxins, pesticides, and pollutants in our environment are having an effect on both women’s and men’s fertility. When a couple is preparing for fertility, it is a good idea for both to cleanse the body of toxins, chemicals, and excess hormones. The chemicals, pesticides, and toxins in our environment are having a huge impact on male fertility. In the last 50 years, sperm counts have been cut in half. An herbal fertility cleanse can help boost fertility and can help you to get pregnant without chemical or hormonal infertility treatments. Learn about some of the best herbs for cleansing the body prior to conception. Did you know there are important ways to aid your body in fully detoxifying while doing the Fertility Cleanse? These tips are essential to proper detoxification during the Fertility Cleanse. Nine of the best diet changes and tips you can implement while performing a fertility cleanse. Help encourage and support your body’s natural cleansing processes with the right food choices. 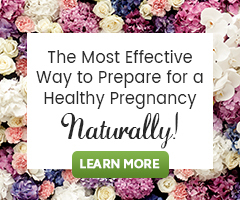 Are you considering doing a fertility cleanse to help prepare your body to get pregnant? Expert advice on a fertility cleanse diet, from fertility herbalist and nutritionist, Hethir Rodriguez. Common questions about fertility cleansing, answered! Colon Cleansing: Is it a Must for Preconception Health? Should you do a colon cleanse prior to trying for a baby? Learn the difference between colon cleansing and Fertility Cleansing. A fun and informative interview with fertility expert, Hethir Rodriguez. Hethir, speaks with passionate fertility support specialist, Sarah Holland, about natural ways to get pregnant through a fertility cleanse and massage. Let’s clear up any confusion surrounding common misconceptions about the Fertility Cleanse. Find out why taking the time to improve reproductive health is so important to the health of your future child. There are 5 normal symptoms of detox. Knowing why these are a normal part of detoxification will help to alleviate worry during any cleansing phase. A great Q&A that covers the safety of cleansing while breastfeeding. Dear Hethir, I am looking at doing the fertility cleanse, but am breastfeeding my almost 3 year old still. Is there a modified version of the cleanse that I can do without harming her?